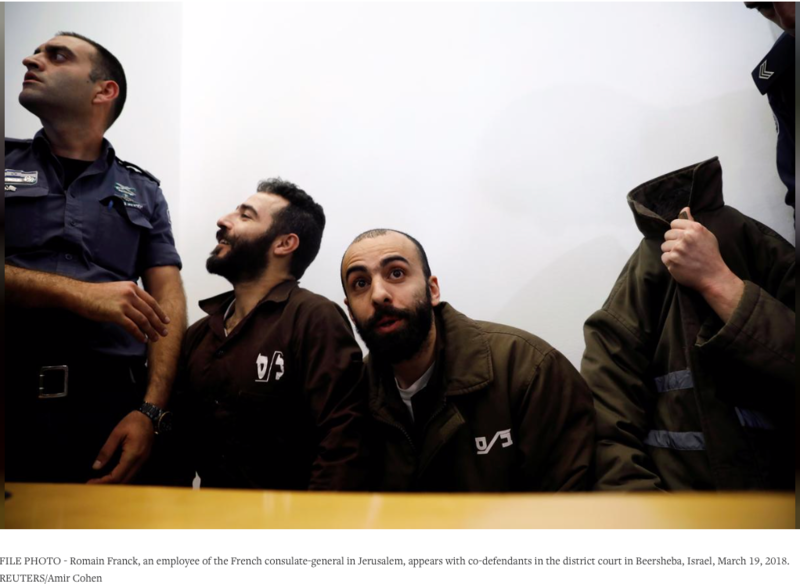 Romain Franck who was arrested in 2018 for smuggling, was an employee of the French consulate-general in Jerusalem. He was sentenced today for seven years after he had confessed to helping Palestinian gun smugglers. He was not charged with complicity in terrorism, sparing him a potentially harsher sentence. Also arrested in the case was Palestinian from East Jerusalem. Beersheba District Court said that Franck, who was 23 when indicted, would spend seven years in jail, including time already served. He also received an 18-month suspended sentence and ordered to pay a 30,000 shekel (7,420 euro) fine. No Comments on "Israel jails Frenchman for seven years for smuggling Palestinian guns"